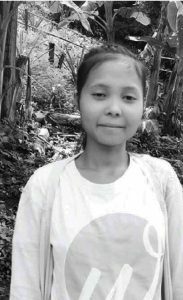 Naw Gyi Lay is a 19 years girl living in one of our HelpLive communities. We celebrate her beautiful story because she is not only part of the community that we support but she is now one of our sponsored teachers in the community. Her journey reflects our vision of not only providing needs to children, but also to invest in their future and raising local leaders like her.